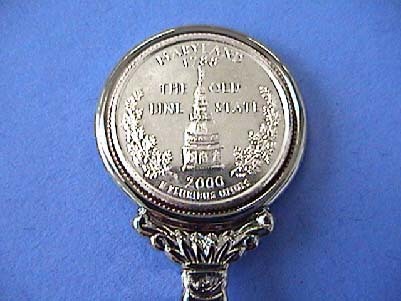 Silver plated collectible spoon featuring the popular State Quarters. 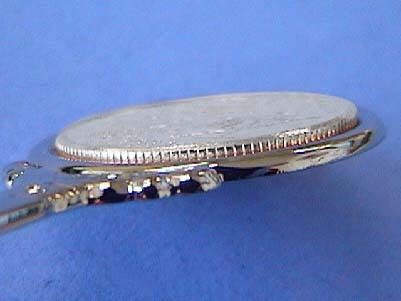 Each coin is enhanced with pure silver. The stem is emblazoned with the name of the state. 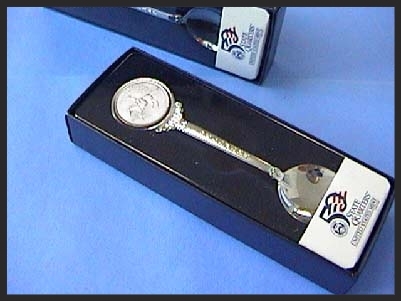 US Treasury brand; made for the US Mint. 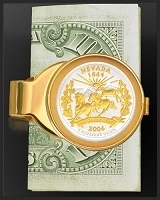 Unique numbered certificate, certificate of authenticity and lifetime warranty against defect. The first ten states available.